On April 22, 2017, people from across the country will walk showing their support for science. The main walk will take place on Saturday in Washington, D.C. 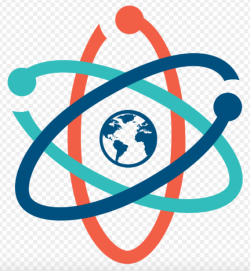 The March for Science is the first step of a global movement to defend the vital role science plays in our health, safety, economies, and governments, according to march the organizers. Wan to join them? Find out where the local marches are taking place in Binghamton, Corning, Ithaca, and Schoharie areas on the March for Science website. The March for Science is a celebration of science. It’s not only about scientists and politicians; it is about the very real role that science plays in each of our lives and the need to respect and encourage research that gives us insight into the world. Nevertheless, the march has generated a great deal of conversation around whether or not scientists should involve themselves in politics. In the face of an alarming trend toward discrediting scientific consensus and restricting scientific discovery, we might ask instead: can we afford not to speak out in its defense? The application of science to policy is not a partisan issue. Anti-science agendas and policies have been advanced by politicians on both sides of the aisle, and they harm everyone — without exception. Science should neither serve special interests nor be rejected based on personal convictions. At its core, science is a tool for seeking answers. It can and should influence policy and guide our long-term decision-making. The March for Science champions and defends science and scientific integrity, but it is a small step in the process toward encouraging the application of science in policy. We understand that the most effective way to protect science is to encourage the public to value and invest in it. The best way to ensure science will influence policy is to encourage people to appreciate and engage with science. That can only happen through education, communication, and ties of mutual respect between scientists and their communities — the paths of communication must go both ways. There has too long been a divide between the scientific community and the public. We encourage scientists to reach out to their communities, sharing their research and its impact on people’s everyday lives. We encourage them, in turn, to listen to communities and consider their research and future plans from the perspective of the people they serve. We must take science out of the labs and journals and share it with the world.